The beautiful iron door pictured above is one of our most recent installs in Palo Alto, CA. This elegant iron door brings an mystical feel to this home and when approaching or waiting at the door you can't help but stare. Being located so closely to Stanford University, Palo Alto residents come in contact with so much art and culture. This door seems to fit right in with its unique design perfectly framed by the surrounding stone work. Our customer was extremely satisfied and we believe you will be as well. 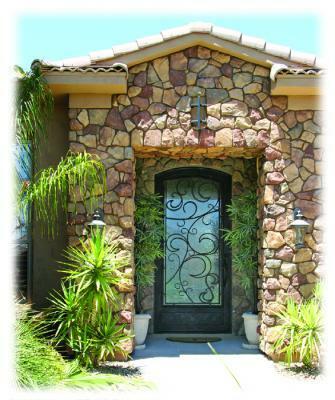 We invite you to take a look at our website and contact us to help you create your perfect entryway.